The Giro d'Italia starts this Friday in Northern Ireland and so this week it is Italy Week at Planet X! The annual tour of Italy started only 38 years after the unification of the country from warring factions of city states into a single state, so the race is deeply embedded into Italian culture and inspires an unparallelled fanaticism amongst its fans. For three weeks every year, the entire country turns pink in honour of the Maglia Rosa, the pink jersey worn by the leader of the race, and rarely will any breaking news be significant to supplant race results from the front page of the daily newspapers. Any Italian with a chance of winning immediately becomes a national hero, and anyone getting in their way becomes universally despised - bar Italian favourite Eddy Merckx. 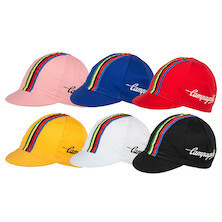 Over the years, the Giro has seen some of the most iconic racing of the 20th Century, from Coppi's tête at têtes with Bartali in the 1940s to Jacques Anquetil and Charly Gaul battling it out in 1959. Recent years have seen a renaissance of Italian talent succeeding at the Giro to the adulation of the home crowd and this year sees ground being broken with the Tour making its first trip to Ireland. As you might be able to tell, we're very excited about the race and we have some big things planned for Italy Week. We've placed some major discounts on our favourite Italian brands and Italy-inspired products, including bikes from SAB and Guerciotti, clothing from Campagnolo and components from Deda. We're also delighted to be launching new Italian twists on two of our most popular road bikes with Campagnolo groupsets. Keep your eyes trained on our emails, website, Twitter and Facebook for more news as Italy Week continues!